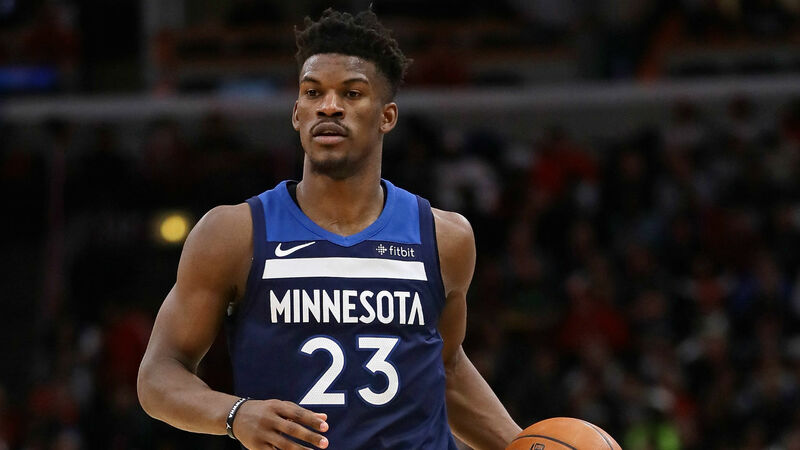 Timberwolves fans have not forgiven Jimmy Butler for requesting a trade. In Minnesota's home opener at the Target Center, T-Wolves fans booed Butler incessantly in pre-game introductions. Butler requested the Timberwolves to trade him before the start of the season and the team has reportedly been trying to move him. The 29-year-old turned down a four-year extension worth around $100 million prior to the season starting. He has one year remaining on the five-year, $92 million deal he signed with the Bulls before Chicago traded Butler to Minnesota last offseason. Butler's team has reportedly said they prefer the All-Star forward to be dealt to the Heat, but Miami president Pat Riley told players this week he was pulling a plug on any attempt to acquire Butler.